Bring your laptop to the first of our "Hands-On Social" series and learn exactly how to create and manage your business's Facebook page. 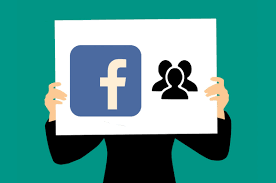 Facebook is still the most popular social media platform with 2.5 billion daily active users, about 2 million of which are within 50 miles of Bradenton. Since this is a hands-on workshop, class size is limited to the first 20 registrants. Claim your seat today! Cancelations after April 18 will be invoiced and cannot be refunded.